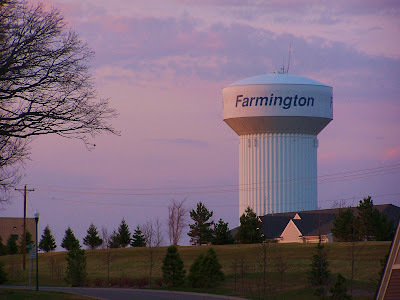 Every town around the Twin Cities has a lovely water tower hovering in the skyline. I just happened to be taking photos in Farmington for a client of mine, and took a few shots of the water tower as the sun was setting. I think it turned out pretty good.